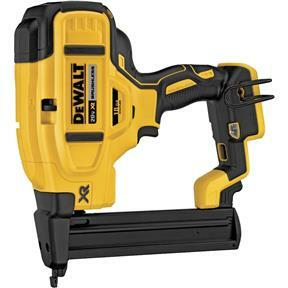 The DEWALT DCN681 18 Gauge Narrow Crown Stapler drives 18 Gauge 1/4" narrow crown staples from 1/2" to 1-1/2" which makes it ideal for cabinetry, furniture, paneling, and flooring underlayment. 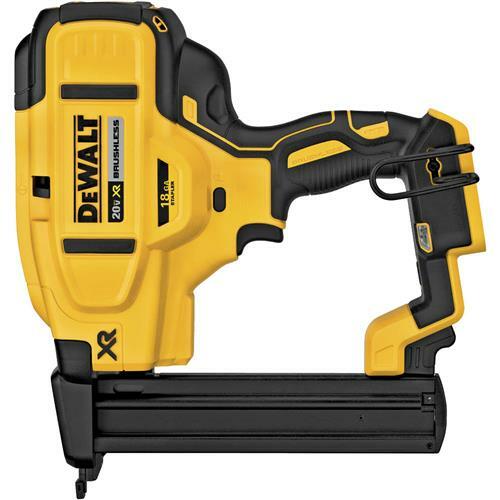 With its brushless motor powered by a DEWALT 20V MAX* Lithium-Ion battery the DCN681 is ready to go to work without the hassle of using gas, compressor, and hose. Tackle jobs both large and small with the features of a pneumatic tool and the freedom of cordless. * - Maximum initial battery voltage (measured without a workload) is 20 volts. Nominal voltage is 18.